From the moment you find out you’re having twins, you know deep down that they will cost a lot of money. The challenge is how to pay for all those expenses especially if you are on a single income. When we had our twin daughters, I was working full time and my wife was already a stay-at-home mom to our two boys. The sudden jump in baby expenses without a jump in salary put a pinch on our budget. The reasons why you have a single income may vary greatly. But even if both parents are working before twins doesn’t mean that will continue after their birth. Child care costs for twins lead many twin parents to decide that one parent should just stay home with the kids. Who wants to work all day just to see all that money go to daycare? You might as well stay home with the kids, enjoy that parenting time, and skip the expense of paid daycare. Other times, one parent just feels the strong desire to stay home with the kids. If both parents are working before twins, consider carefully which parent will stay home with the twins. 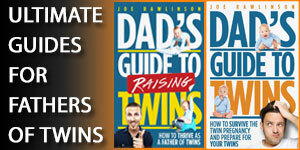 As I’ve shared on the Dad’s Guide to Twins Podcast, there are many stay-at-home twin dads. Most of these dads realized that their wives had the better job and the better income so she kept working while he stayed home with the twins. In addition to income, consider other benefits that will make a difference to your family. Health insurance, paid time off, commute time, daily schedule, and more can all make a significant impact on your family’s quality of life. If your current income isn’t enough, you can look for a better paying job or promotion. You may even supplement your main employment by picking up additional freelance work or paid gigs. Be careful here as you don’t want to be working all the time or you’ll never see your family or be able to help with the twins. The good news is that you don’t necessarily need to make more money to meet your family’s needs. 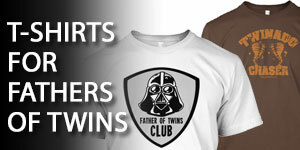 Yes, twins require double of many things (although not double of everything). 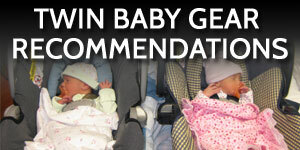 The good news is that you can find free and low-cost supplies for your twins. 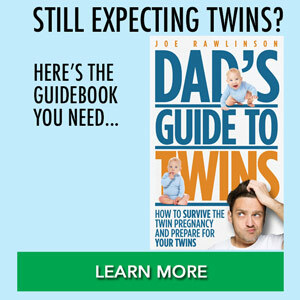 Here’s a list of free stuff you can get for your twins. Several fathers I talked to mentioned their families started clipping coupons and watching for sales to make purchases. If you are strategic in your buying, you can often get what you need without paying full price. When items you need are on sale, stock up on them since you know you’ll use them later. You might also consider joining a discount warehouse club. We joined Costco and purchased all our diapers and baby formula at discounted bulk prices. You can’t make a budget work with twins if you don’t have a budget in the first place. It is essential that you get a handle on how much you’re making and how much you spend. Take a hard look at what you spend your money on each month. If you aren’t currently tracking your spending, check out Personal Capital, a free tool to help you keep tabs on your money. Once you know where you money is going, you can audit your current spending. 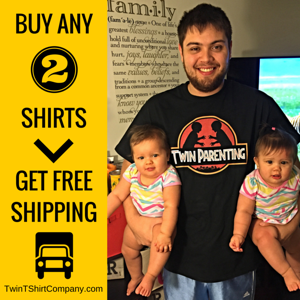 Your increase in twin related expenses will require that you cut back other areas of spending. This may sound obvious but don’t think it is impossible. I guaranteed that you’ll find that you’re spending money on things that aren’t absolutely necessary to keep your family up and running. These unnecessary expenses could be cable TV, trips to Starbucks, eating out too frequently, tobacco, alcohol, night at the movies and much more. As a parent of twins, you might tend to be a hermit. Use that to your advantage. Home cooked meals and entertainment will always be cheaper than going out. Remember that you don’t have to do everything yourself. Ask for help. If you are a man of faith, pray for the help you need to make ends meet and you’ll be pleasantly surprised by the blessings you receive. Reach out to family and friends for help with finding a better paying job or for purchasing essential baby gear. When things are tight, you can ask for essentials (diapers, formula, clothes) as birthday, Christmas, or holiday gifts. You don’t need a present, you need diapers. Don’t be afraid to ask. You can raise twins on a single income. Many twin parents are in the same situation and through creativity and focus on essentials, they make it work. You can to! 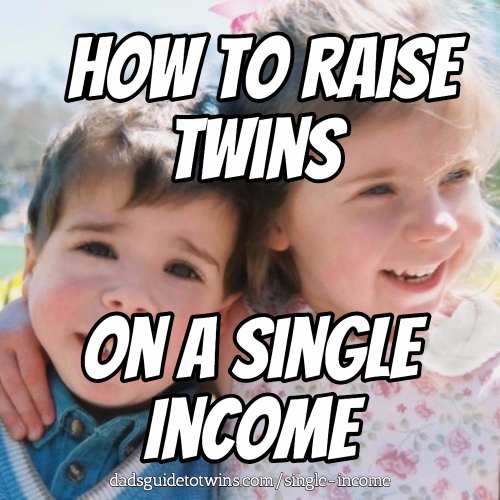 Do you have other tricks for raise twins on a single income? Let us know in the comments below. 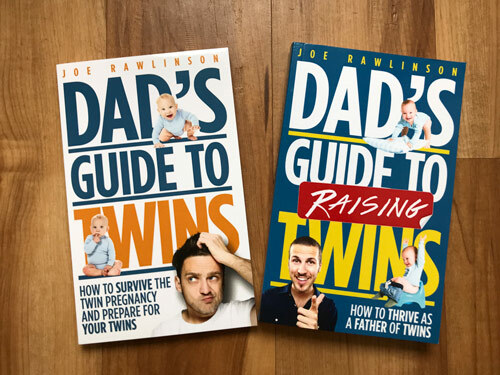 Special thanks to the twin dads in the USA Fathers of Twins & Multiples Facebook group for help with this article. @Tim – All the best to you as you strive to make ends meet. I have been the single income for past 6 years and it’s incredibly difficult with my twins to an extent so difficult I have been counting down the years to When they both go to kindergarten and my wife can consider going back to work- the expense is outrageous and the only takeaway I have is that I’m still married and my kids were raised by my wife and not a day care system. You can’t get those years back with your kids by im pleased the finish line is in site. @James – I know it is tough on one income. We struggled with that too in our family. Your perspective serves you well. Best of luck in the home stretch until they are in kindergarten.